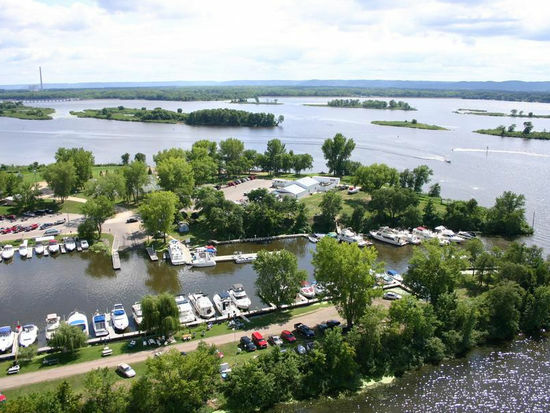 Small town Alma, Wisconsin is the gateway for your very own houseboat adventure on the great Mississippi. Take to the water like Huck and Jim (but with a touch more style and comfort) on one of five navigable houseboats: the Days Away, the Wanderer, the Serenity, the Therapy or the Delite. Unlike the raft for two, these houseboats accommodate up to 12 and come equipped with a full kitchen and an array of other comfortable amenities. 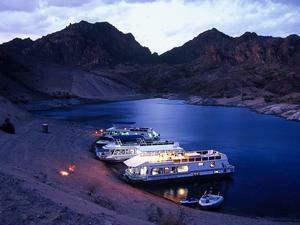 If you'd rather a "boatel" experience, you can stay on a houseboat at the marina for you to call home during your stay. 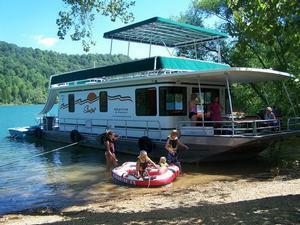 You'll be able to park your houseboat on islands or beaches along the river at no cost. Some city docks are also free, but staying at other marinas charge up to $1.50/foot. 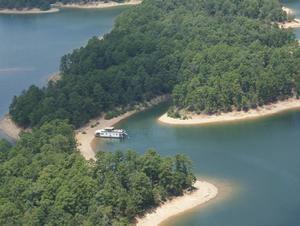 The houseboats are permitted up river as far as Lake City, and down river to Fountain City. This small piece of the Mississippi is so rich with history and unique attractions, it would be difficult to fit it all into one trip! Alma is a unique community built into the bluffs. The European style town is only two streets deep with twelve stair-stepped streets running perpendicular to the river. At the marina, there is a swimming beach, tennis courts, basketball court, volleyball and a softball field. Fishing is great all along the Mississippi. There are Walleye, Perch, Sunfish, Bluegill, Catfish, Crappie and Bass in the area. In Alma there is a fishing float where anglers can spend the day fishing mid-river on a platform placed below the roller dams. Fishermen will need either a Wisconsin or Minnesota fishing license. Buena Vista Park is a must see before you leave the area. It's the largest natural balcony that overlooks the Mississippi River. 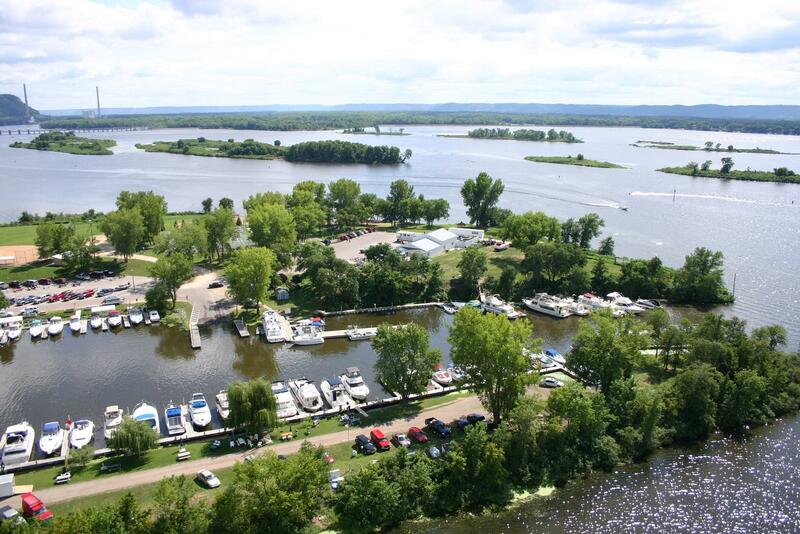 Enjoy expansive views of sand islands and backwaters of the river, and watch barges go through the locks. 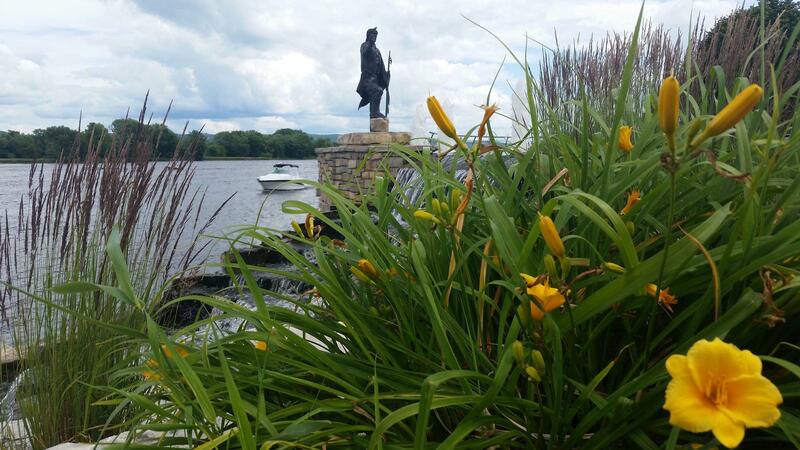 Pepin is a historical steamboat boomtown which was frequented by Mark Twain and wealthy socialites who would summer in the area. There are unique shops, galleries, antiques, and even a town blacksmith. Outdoor markets feature fresh seasonal fruits, vegetables and local artwork in the summer months. Pepin is also the birthplace of Laura Ingalls Wilder. 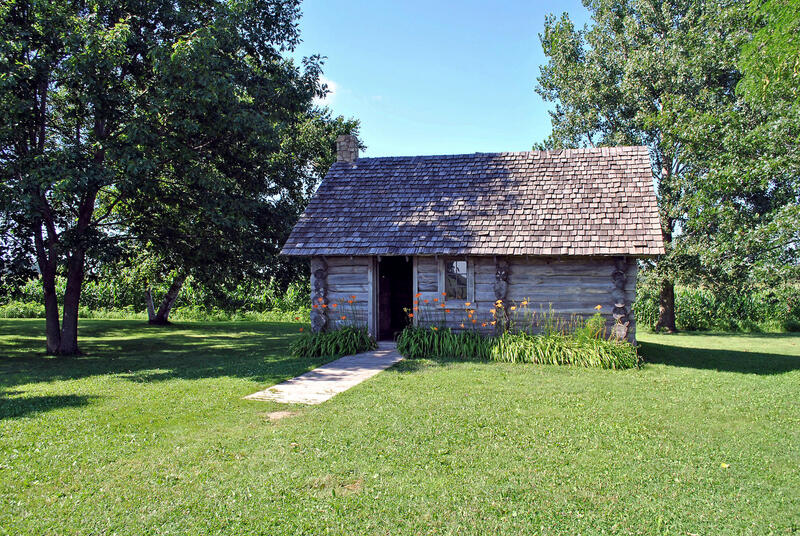 See the Little House Wayside Cabin, located just 7 miles northwest of Pepin. See a reconstruction of the log cabin that was the 1867 author's birthplace and the setting of Little House in the Big Woods. "Laura Days" celebration takes place on the second weekend in September; it's a family oriented event featuring arts and educational entertainment based on the early American pioneer experience of Laura Ingalls Wilder. Villa Bellezza Winery, known as the "Mediterranean on the Mississippi", is a Mediterranean style winery and restaurant that will make you feel as if you've been transported to Europe. Tiffany Wildlife Area is a 13,000 acre refuge for wildlife watching, canoeing, hiking and fishing if you're looking for more of a natural experience. The town of restored buildings set on bluffs overlooking the Great River attracts people of all interests with shops, restaurants, breweries, Falconer Vineyards Winery and Bistro, as well as Flower Valley Vineyards. River City Days in early August features car shows, a Venetian boat parade, arts and crafts fair, and more. Cannon Valley Trail, which runs from Red Wing to Cannon Falls, will have you in awe of the area's scenic views. Great for biking or on foot. A thriving destination full of charming shops, local and regional art, fine food, theater and music. Stockholm hosts many events throughout the year including the most notable Swedish Midsommer Festival in late June, and Stockholm Art Fair in mid July. Take a stroll down the 700 foot pier for another perspective of the Mississippi. Hike the legendary Maiden Rock Bluff Nature Area, legend for a maiden that leapt from the bluff to avoid an arranged marriage, is known for some of the most spectacular views. Maiden Rock Winery and Cidery offers classic hard ciders and apple table wines from local produce, giving them the proud motto of "Flavored by Wisconsin." Pepie the Lake Pepin Monster, a serpent like creature that lurks in the depths has been sighted, or thought to have been the cause of things unexplained on the lake for the last 150 years. Anyone who can capture Pepie on film can earn a $50,000 reward. Buffalo City is a popular area for birding and fishing the backwaters, along with scenic quiet streets for biking or hiking. There's also the site of the first county jail, dating back to 1861 - the building still stands in the city park. 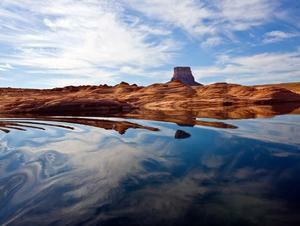 Named by the Sioux Indians meaning "water white." Two rivers, the Whitewater and Zumbro merged into the Mississippi causing turbulence that appeared white. 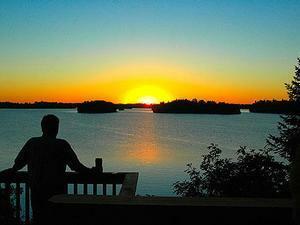 Keep your eyes fixed to the treetops where Bald Eagles are known to nest in the summertime and fish year round. A long narrow town at the base of the bluffs, named for a spring fed fountain once found in the area. Home to Seven Hawks Vineyards. Meander around the town's shops, restaurants and attractions. 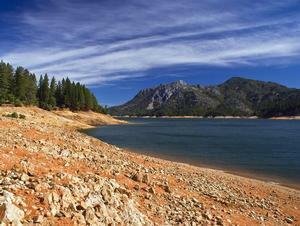 Elmer's Toy Car Museum is located on Eagle Bluff wich sits 550 feet above river. 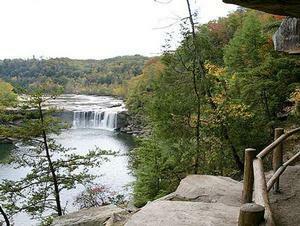 Merrick State Park, just north of Fountain City, is a favorite spot for boaters, anglers and bird watchers. A self guided canoe trail will take paddlers through the park's extensive wetlands that make up much of the park. Located in the heart of the Mississippi River Flyway, over 280 species of birds have been spotted in the earea, whether they make it a year round home or migrate annually. Briggs Farm offers birding adventures for beginner or experienced bird watchers alike; a great opportunity to connect with local wildlife. Sugar Loaf Bluff stands 85 feet high as Winona's distinguishing landmark. An easy hour long hike will lead you to the top of the bluff, an incredible spot for pictures. The newer trailhead can be located on the north side of the bluff on East Lake Blvd. These highlights are mere suggestions of all that this section of the northern Mississippi has to offer. There's something for everyone! Call your friendly houseboat agent at 888-454-8825 or Request Information Online and an agent will reach out to you to assist in planning your houseboat adventure on the Great Mississippi.